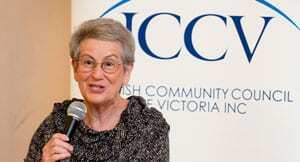 Yet another communal voice has added her views on the ABC-TV/The Australian report on the justice meted out to Palestinian children on the West Bank…this time Nina Bassat, president of The Jewish Community Council of Victoria. The “Four Corners” program on 10 February 2014 dealt with grave issues. Mistreatment of children is of the utmost concern and is deplorable. What the program did not demonstrate, is that the Israeli government understands the gravity of the issues and is committed to improve the manner in which it deals with very young Palestinian minors who pose a security risk. The ECAJ statement made by its President Robert Goot sets out clearly the security and international law issues and I do not propose to replicate them. What is disturbing, over and above those issues, is the clear lack of balance. Whilst the program referred to an earlier UNICEF report, it tellingly did not refer to the fact that Israel’s co-operation with UNICEF and the significant improvements which have already taken place form part of UNICEF’s latest report. The program interviewed one Israeli lawyer who represents Palestinian minors, but failed to make any mention of the fact that there are many Israelis who offer similar assistance. Further, there was no acknowledgment or recognition of the fact that Palestinian minors have committed murder and acts of terror. There was a similar lack of balance in the footage. There was repeated and protracted footage of a weeping child. Disturbing as that is, death and injury is more so, but there was only extremely scant footage of the horrific terrorist attack which killed and maimed many Israelis. The ABC “Four Corners” website states that “The ABC is Australia’s most trusted, independent source of news.” The program of 10 February 2014 makes a mockery of this.